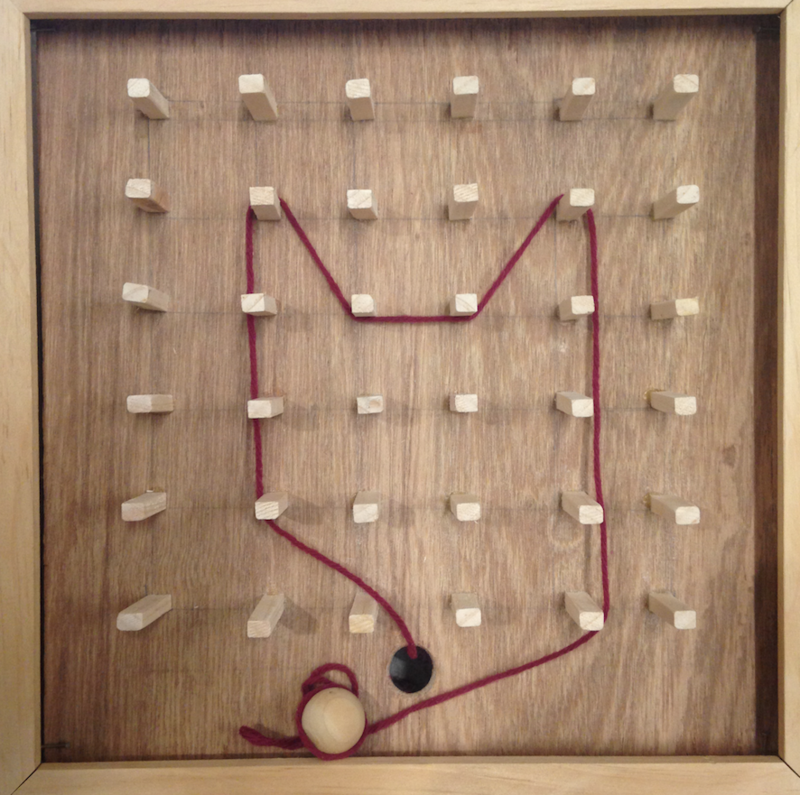 Made for Philly Dev Nights August Game Jam, Toy Jam, gamemakers were given the ol' switcheroo and were given the chance to become toy makers! 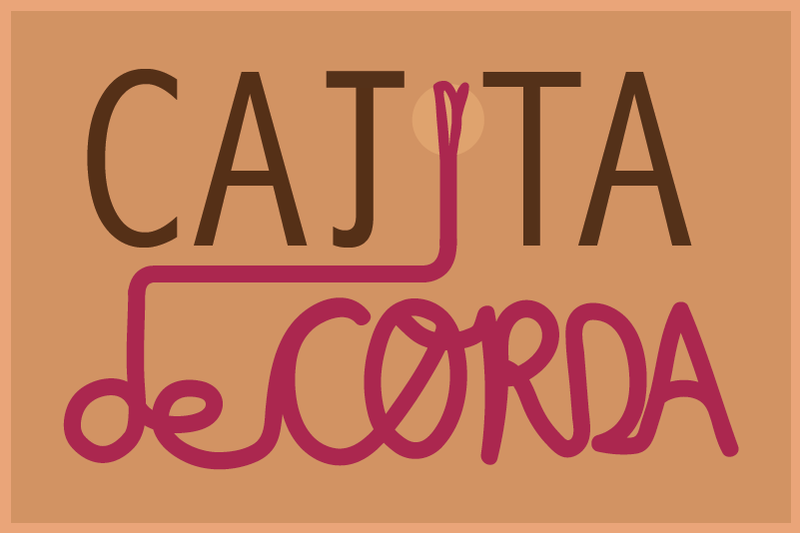 Calling back to those good old days of wood and string, Cajita de Corda (translated to little box of string) was designed for all ages to have some fun with creativity! 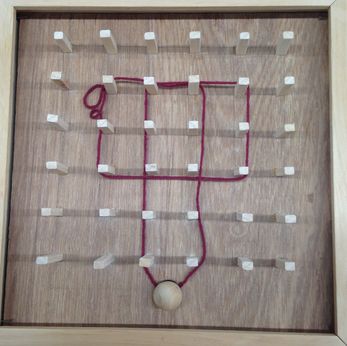 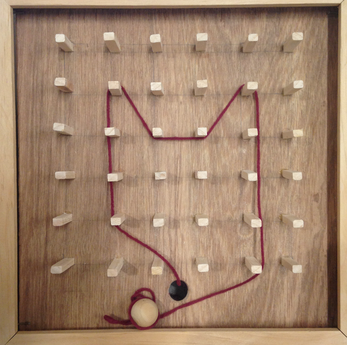 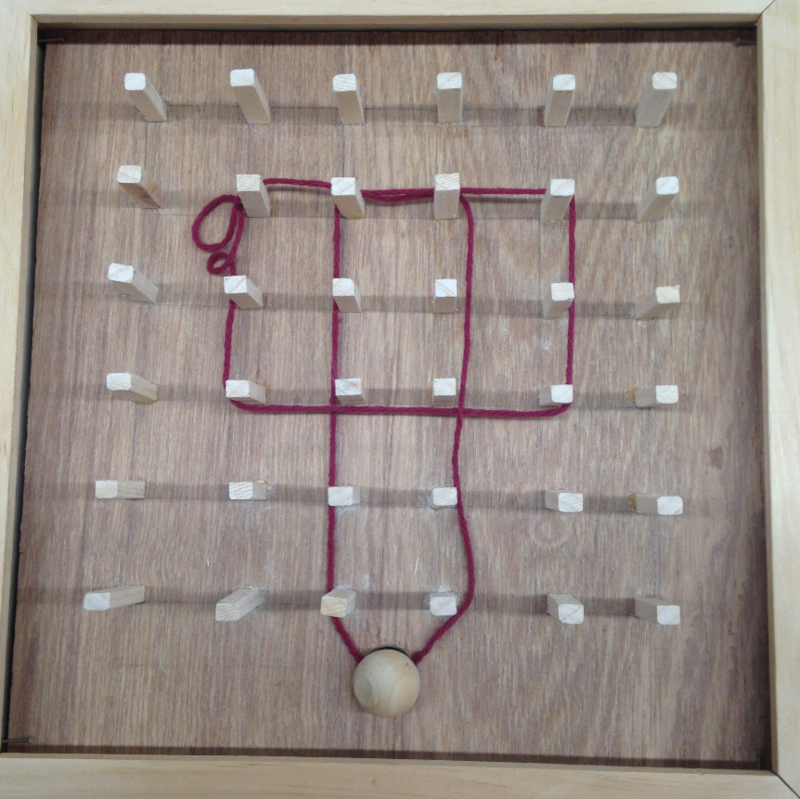 All you have to do is roll up the string attached to the ball, move the box around, and have the string go around the wooden pegs to make all sorts of designs. You'll have cards that have pre-made designs to recreate, or just go crazy and set your inner cubist free!